The day is coming when designer babies are the norm, space travel is available to everyone, and robots have personhood and even pay taxes. 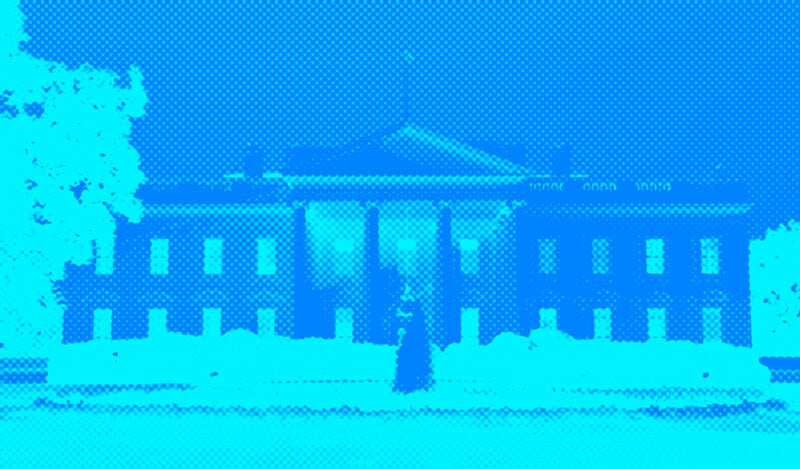 It may not be coming soon, but a number of futurist political parties have emerged in the last few years to make sure we’re ready when it does. The fledgling parties have science fictional names like Transhumanist Party, Space Party, Longevity Party, and Futurist Party. That’s just in the US. Overseas, there’s Spain’s Alianza Futurista, Australia’s WikiLeaks Party, Russia’s Evolution 2045, and several others. So far, none of these new political parties have elected anyone to office; they exist mostly on the internet, advocating for issues like universal basic income, life extension research funding, totally free education, mandated green-friendly policies, free and open internet as an inalienable right of online citizens, and support for morphological freedom—the right do with your body whatever you want so long as it doesn’t hurt someone else. Collectively they represent a potential shift in the current political landscape, and its sluggish approach to technological change and forward-thinking ideas. Many people, especially young people, feel it’s time to upend the status quo. Myself included. I founded the US Transhumanist Party six months ago, and now I’m running as its 2016 US Presidential candidate. I also formed the Transhumanist Party Global, along with Amon Twyman, to give an umbrella network and global constitution to the nearly 25 nationalist Transhumanist Parties spread out over five continents. To talk more about futurist political movements and achieve some synergy, I recently met with Weston T. von Hochmuth—you may know him as redditor Xenophon1. He helped form the Futurist Party last year, and founded Reddit’s Futurology subreddit, which at last look had 2.8 million subscribers. “The Futurist Party is a decentralized, non-hierarchical, and open-source political movement,” he told me. “It is one among a community of growing international philosophies founded on an emphasis towards addressing the political interaction with technology: Net Neutrality, Space Industry, and Basic Income to hurt or help the institutions and citizens of the US.” The party’s supporters are a community unified behind a singular idea: progress in education, economics, and exploration. “Futurists in office, at the polls, and as citizens of the United States stand for these three E’s as our keys to the better future,” he said. Weston is in his twenties, and he is part of a changing generation—a generation of millions of gamers, glued to their smartphones, wearing virtual reality headsets and exploring new realities—that feels there’s room to change, maybe even revolutionize the current binary political system. But that revolution isn’t happening overnight—most future-oriented political parties are still in the infancy stage of development. The Futurist Party, for example, has a website, a presence on various social media sites, and over 5,000 subscribers on its subreddit, but it has yet to organize much outside the online community. Some parties are purely internet phenomena, but that doesn’t mean they won’t have any power or influence. The web has a way of sparking grassroots revolutions without ever stepping on the grass. There is power in numbers online. I’ve seen this with the Longevity Party, which exists mostly on Facebook with some 7,000 members. While not formally a political party with ambitions to gain office, the Longevity Party has organized small street demonstrations in Brussels, Cambridge, and Washington DC. The members, including one of its well known founders, Maria Konovalenko, used the protests to advocate for more funding into life extension research and an end to “deathist” culture. And some parties, including my own, do hope to elect representatives to public office. The UK Transhumanist Party is running a candidate, neuroscience expert Alexander Karran, PhD, for the Labour safe seat of Liverpool Walton in the UK General Election. The party is in the process of printing out and distributing 20,000 propaganda leaflets. Not everyone is happy with the futurist political movement. Some people have suggested that these groups are too influenced by the Silicon Valley bubble—not exactly representative of America as a whole. I’ve heard complaints that futurist issues and politics can’t mix, and that science and technology should remain untouched by political bias and lobbyist money. It is difficult to predict which emerging technologies will influence our politics, but the political issues that are bound to arrive must be dealt with by political scientists, theorists, humanist scholars, not by life-extensionists, biohackers, technologists, singularitarians, cyronicists, techno-optimists who are beginning to get involved in the political game. Many people, including me, disagree. Politics has remained in the hands of a two-party system dominated by lobbyists, lawyers, and professional politicians for far too long. And even though no futurist parties have much chance of winning in elections in the next few years, they are raising awareness about issues that will shape society for the future generations. The Transhumanism movement organized itself for the first time as a concrete political force in the autumn of 2014, thereby reaching a new level of public visibility and potential impact, irrespective of the immediate success it can or will have at the ballots. In the next ten years everyone is gonna be forced to deal with how we deal with artificial intelligence, everyone is gonna be forced to deal with longevity as people live longer, everyone is gonna be forced to deal with some of the bionics, the chip implants and the mind uploading. The technical/science fiction issues are not easy to present to many people in Germany, as many people are afraid of their privacy, and therefore are skeptical against too much technology. For example, the idea of mind uploading is difficult for many people to accept. Mind uploading—the theoretical process of uploading the human mind and consciousness to a computer—is a thorny issue, and presents a wide array of political conundrums. Some experts believe it could be here in as little as 25 years, and if so, what will we call a person living in a machine? A human being? Or something else? And what country does he, or she, or it belong to? Can it procreate and multiply itself thousands of times? And then, can it also vote? Futurist parties are want address these questions and create policies to prepare for them. Optimism aside, the real question remains: What can a bunch of minor third parties hope to accomplish on their own? History has been filled with third parties going nowhere. A cursory search of past and current political parties in the United States reveals dozens that no one has ever heard of, and of course that list doesn’t include the potentially hundreds of fringe parties not listed in Wikipedia. But futurist parties might have a distinct advantage in the next few decades that help them rise to prominence. This advantage is emerging technology itself, which could potentially change the political landscape even before small futurist parties making their way through the traditional system. One idea being floated around by futurists is “real-time democracy,” where citizens can vote on legislative bills and agendas online, or even right from their smartphones. If this type of technology appeals to the younger generation, it could give futurist parties an advantage in the polls, or encourage more young people to vote. Other more radical technologies on the horizon may also prove useful for futurist parties. Futurists, including myself, have asked if perhaps selfless artificial intelligences in robot bodies would be better suited for running the government. Yet others hope to see virtual nations like Bitnation or Zero State, which supports a boundaryless community that could operate entirely like its own country, using emerging tech like cryptocurrency, virtual reality, solar power, and Blockchain technology, which some claim could revolutionize voting. Over the last six months, I’ve corresponded with various leaders of futurist political parties in an attempt to consolidate a political platform that we all share. One thing I discovered is that while we are small now as a political community, the possibility of becoming much larger is very real. With a united front, we might be able to push ourselves to a type of prominence enjoyed by other large third political parties, like the Libertarian Party or the Green Party. The future isn’t relegated to just one side of the aisle. Zoltan Istvan is the author of The Transhumanist Wager and founder of the Transhumanist Party.